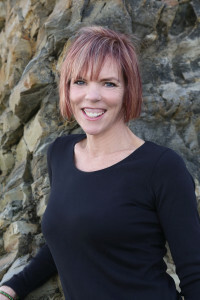 My name is Molly Mitchell and I am a Licensed Professional Counselor holding an International Certification as a Credentialed Advanced Alcohol and Drug Counselor. Licensure and International Certification means that I have met the substantive post-graduate and continuing education criteria. I specialize in adult psychotherapy and chemical dependency and help my clients on a wide range of issues. I utilize a positive psychology approach to assist and teach individuals to draw from their personal strengths as they discover and explore possibilities for change and growth. By helping my clients put thoughts and emotions into words, they are able to foster increased self-awareness and understanding enabling them to better communicate and relate to others. Throughout this process, I work with my clients to help them notice patterns and connections between past experiences and current issues. By helping increase one’s awareness, my goal to is to help my clients become more empowered to positively shape their lives moving forward. © 2019 Molly Mitchell - Pittsburgh Center For Positive Psychology. All Rights Reserved.